It was possible to vote normally. A large number of people were gathered and one of the most important roads of the town was cut off. 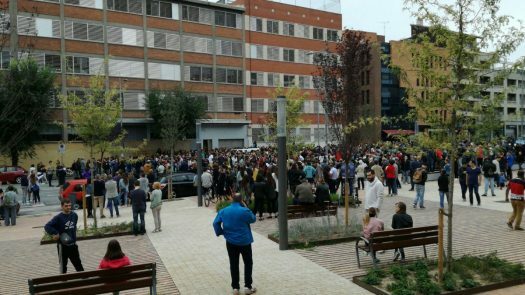 A thousand people block Aveninguda Sant Esteve chanting "Llibertat" ("Freedom"). Waiting for the Guardia Civil. Protecting the ballot boxes while singing the Catalan national anthem "Els Segadors" (video by Línia Vallès). People chant "No passaran" ("They shall not pass"). People form a human shield to protect the centre peacefully (photo by Jordi Estrugó). 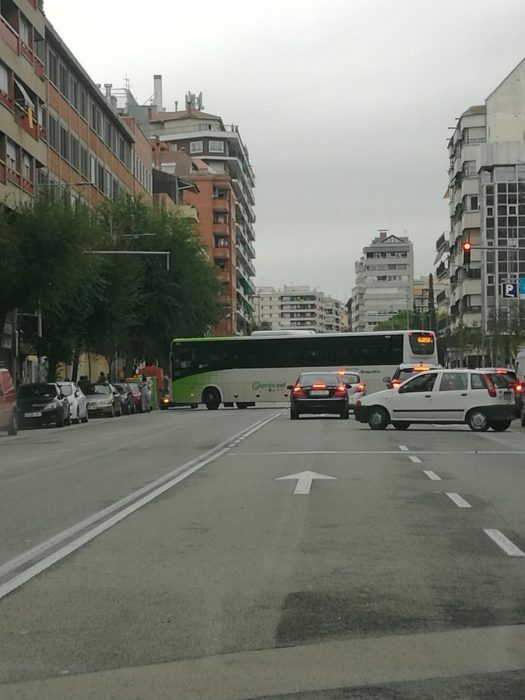 A bus is parked to block the passage. 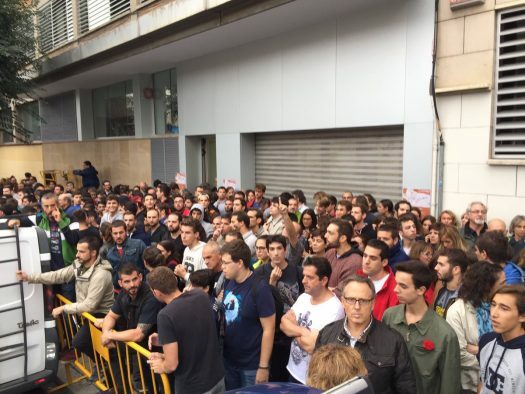 People block Avinguda Sant Esteve. The firemen arrive and the people chant: "No passaran" ("They will not pass").